Just like many other artists who passionately dedicate a vast amount of time to a cause, evolution and constant change have been a significant part of his career and have led him to where he is at this very moment. In 2015 he is more in demand than ever and is continuously touring on various continents. After playing for established nights like Cocoon, Carl Cox and Music On in Ibiza, he is now holding a residency for HYTE at the island´s iconic Amnesia club and recently played several dates for Richie Hawtin´s ‘CNTRL: Beyond EDM’ US tour alongside artists like Loco Dice, Josh Wink, Seth Troxler, Matthew Dear, Matador, Dubfire and Victor Calderone. He was one of the first DJs that used the new possibilities in the course of the digitalization of music in a consequent and creative way and is incessantly searching for new ways of intuitive expression. The real-time manipulation of the individual tracks and sounds plays an important role in his DJ sets. Due to the good co-operation with various software and hardware makers, his current setup offers him practically endless possibilities, which he uses to create an irresistible groove and an ever-changing, unpredictable musical flow. It all started in the early 90s when Chris started to dj a mixture of Hip Hop, Soul, Pop and House, gradually adding more and more Techno records to his sets until he finally started to play exclusively electronic music. In 1994 he opened his own club in Giessen, the Spinclub, where he could manifest his musical vision without any compromises. At this time he also gathered his first studio experiences and founded the label Soap Records with some friends. A job at Eye Q Records in Frankfurt provided him with useful experiences and contacts in the Techno scene. When he was called to fill in for a friend at the legendary Omen club, he received enthusiastic reactions from the crowd and kept playing there regularly together with many international DJs until the closing of the club in 1998. In 1996 Chris left Eye Q and founded his first label called Audio. Before the label´s closure in spring 1999, they released 17 tracks, amongst them his productions Audio 07 and Audio 11, which received worldwide recognition. At the same time Chris developed a new passion by presenting his first radio show Evosonic Update, which supplied the listeners every Friday afternoon with party tips and vinyl critics on the radio station Evosonic. In 1999 his by now well-established label CLR was founded. This was the time when he also started to receive top rankings in various categories of the reader polls of the popular music magazines, amongst them “best national DJ”, “best remixer” and “best producer” on a regular basis. This summer many things started moving, for example on Ibiza. After playing for the first four Cocoon Ibiza residencies, this year Chris played for Carl Cox. In the following years 2004 and 2005 he co-hosted Mauro Picotto´s Meganite at Privilege, where he also hosted his first own night in 2006. In the following year Chris and his team of like-minded DJs and live-acts moved to Space, where they hosted numerous successful nights over a period of four years. Since 2005 Chris produces in his own “state of the art” studio in Frankfurt. In the same year a productive and still persisting friendship between him and Speedy J. began, which so far resulted in the album Metalism on Novamute and various singles. After the successful season at Space / Ibiza in 2007, Chris Liebing decided to revive his passion for radio broadcasts and started hosting the weekly CLR Radio Show which aired on numerous stations world-wide until the beginning of this year. 2009 was a year of many changes for CLR. Chris and his team celebrated the 10th anniversary of CLR, restructured the label, opened an office in Berlin and celebrated many great parties. The residency at the BE nights at Space / Ibiza became a big success. In the beginning of the year, he had begun with the production of the weekly CLR Podcast, which counted around 400.000 monthly listeners. He officially renamed CLR into CREATE LEARN REALIZE (as this is what he did most of his life) and by doing so he finally got rid of his ego in the label name. 2010 CLR started off with a new distribution by Word And Sound. The first common project was the 10 Years CLR Compilation with 10 exclusive tracks by some of the finest techno producers of our time. Musically CLR opened up and became slightly more experimental, which only increased its popularity. 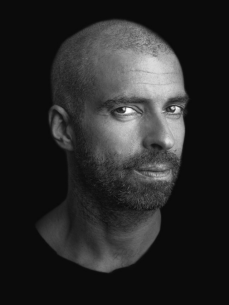 In 2011 Chris Liebing was voted on rank n° 21 in the Resident Advisor poll and on rank n° 3 as best DJ in one of the most important German online polls. In the following year 2012 he reached the n° 1 position in the popular Partysan reader´s poll and won the award for “best DJ”, while CLR was holding position n° 2 in the label category. For the musically more complex and song based releases, the sub-label CLRX was founded and started off with the release of the new MOTOR album “Man Made Machine” in the beginning of 2012. The album features some of Chris Liebing´s all time heroes like Martin L. Gore from Depeche Mode, Douglas McCarthy from Nitzer Ebb, as well as Gary Numan and clearly manifests the increasingly open-minded musical attitude of the established Techno imprint. From 2012 on, he focused his studio efforts on the development of highly talented label artists like for example Tommy Four Seven, Monoloc and Drumcell, helping them with the finishing touches and mix-downs of their EPs and albums. After dedicating the majority of his studio time to the production of the CLR Podcast and the music of other artists for several years, 2015 marks the year when Chris decided to cut down those efforts and to take some time for himself again. As much as his busy tour schedule allows it, he is starting to spend more time on his own productions, and we can look forward to new music from his sonic laboratory in Frankfurt very soon.